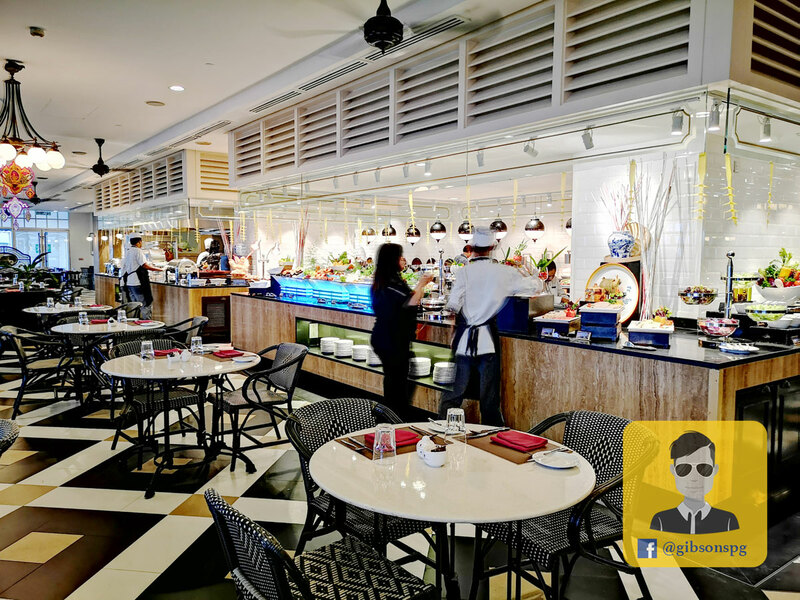 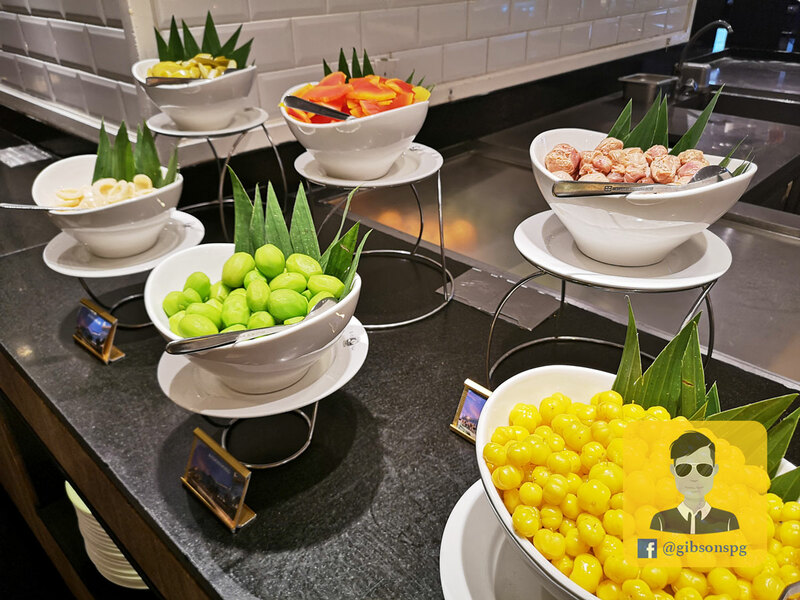 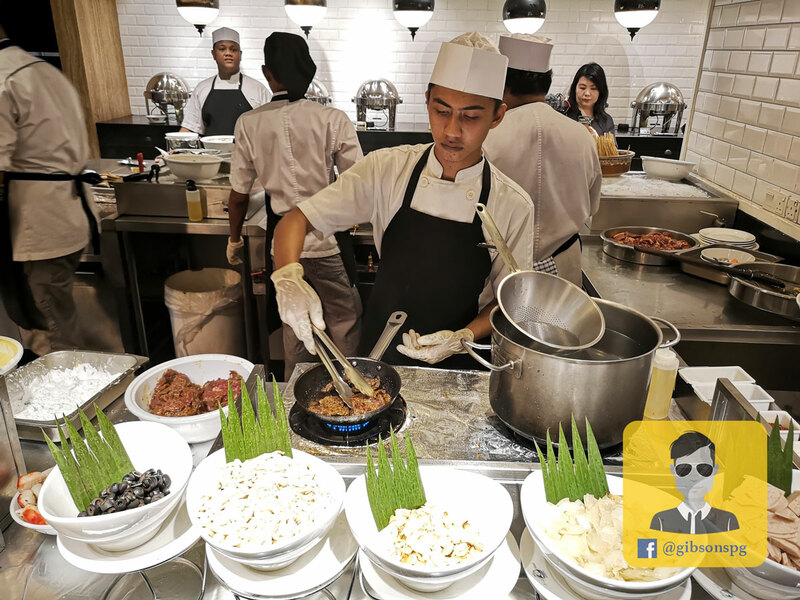 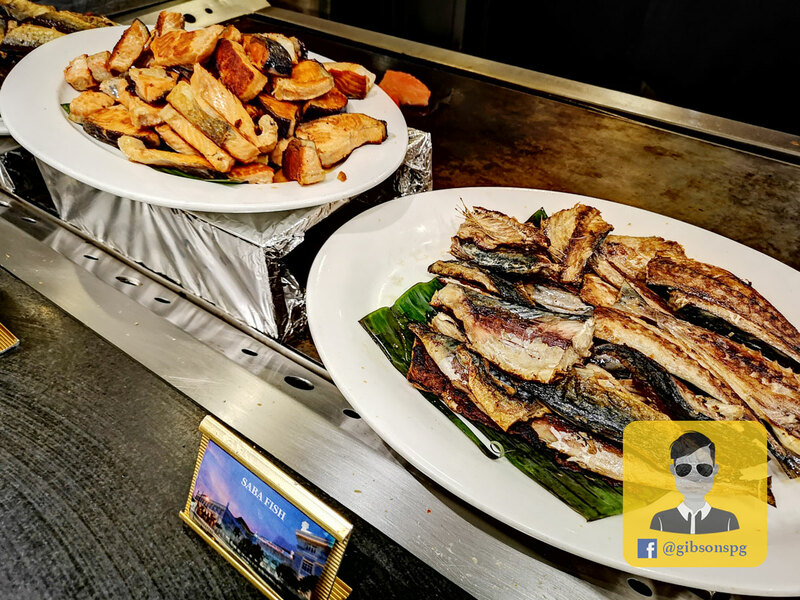 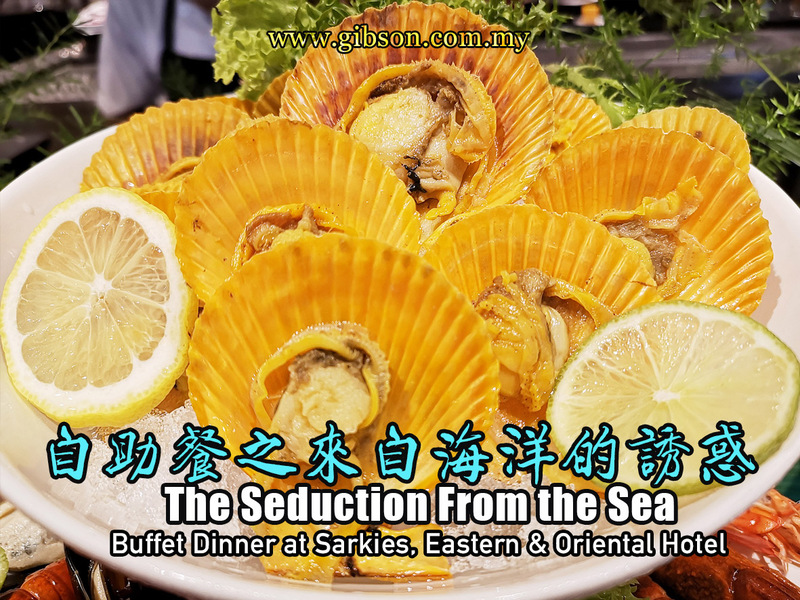 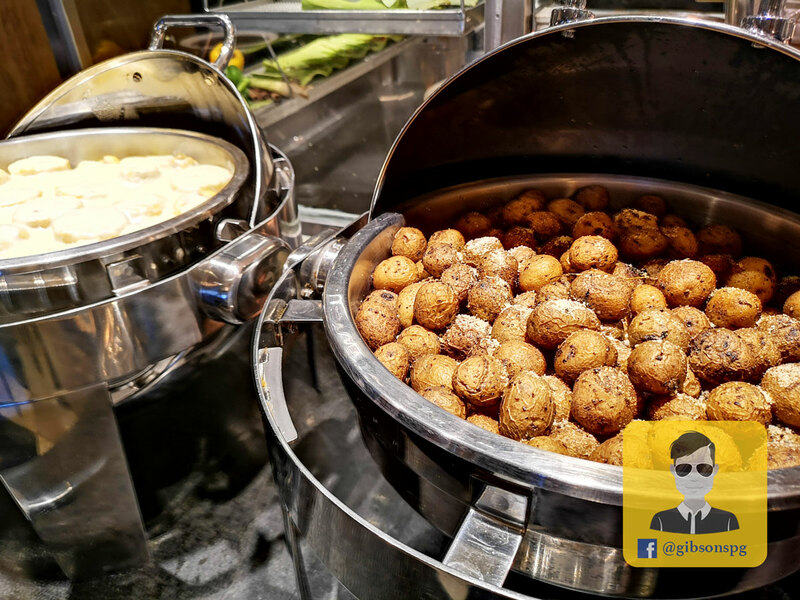 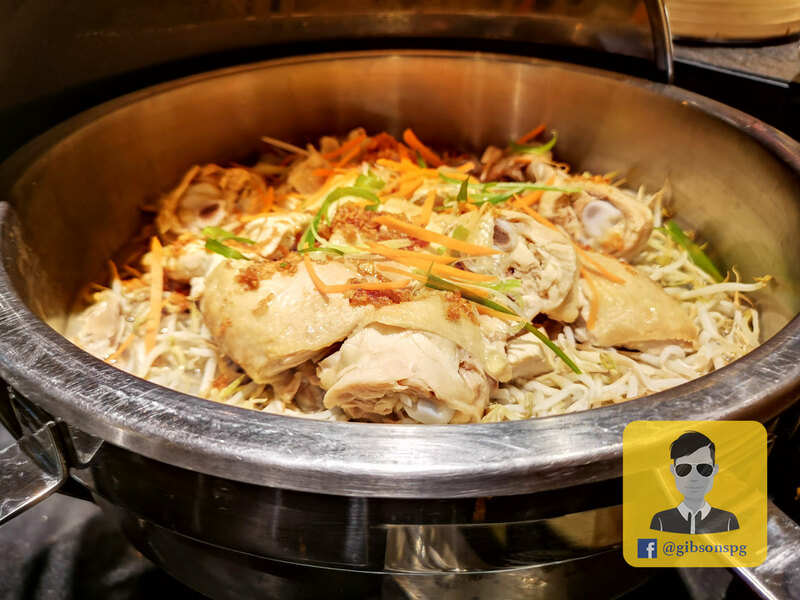 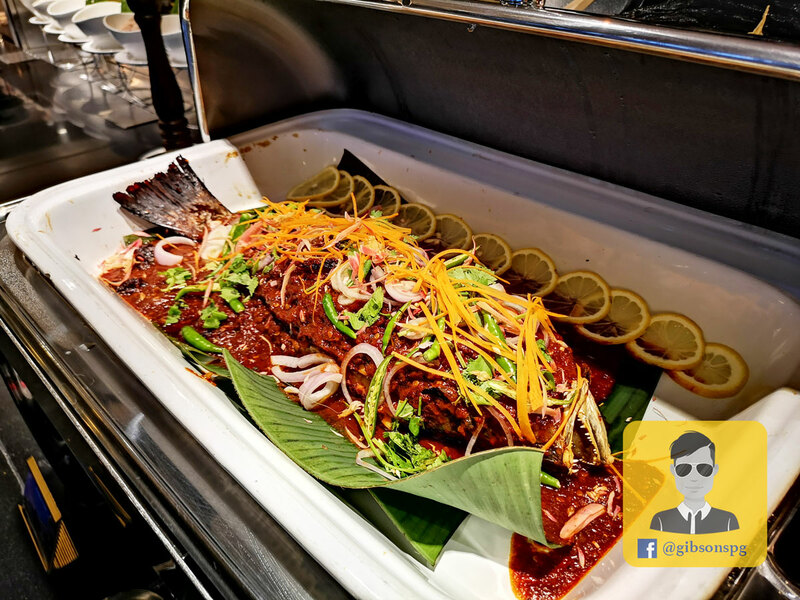 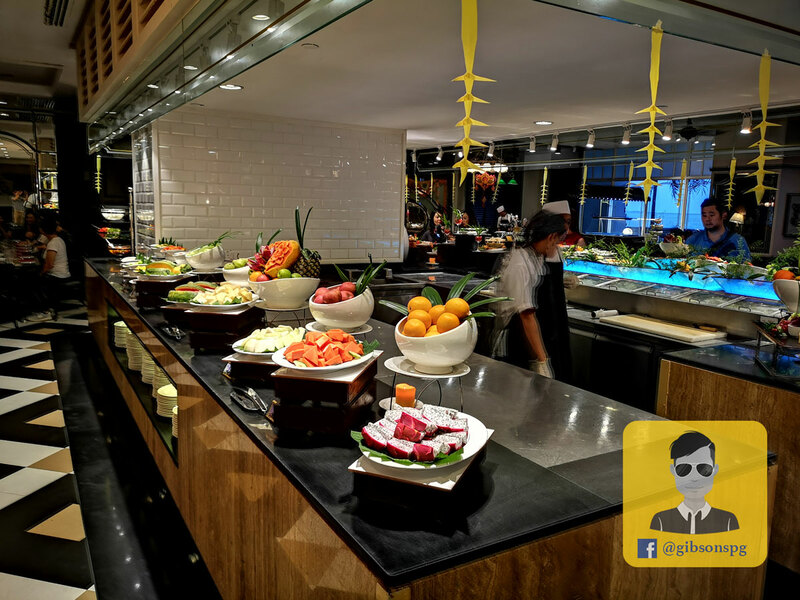 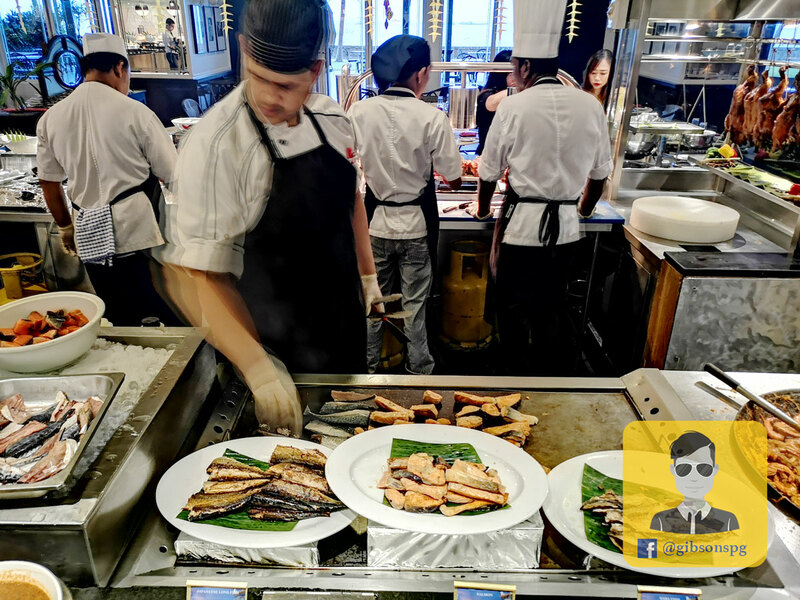 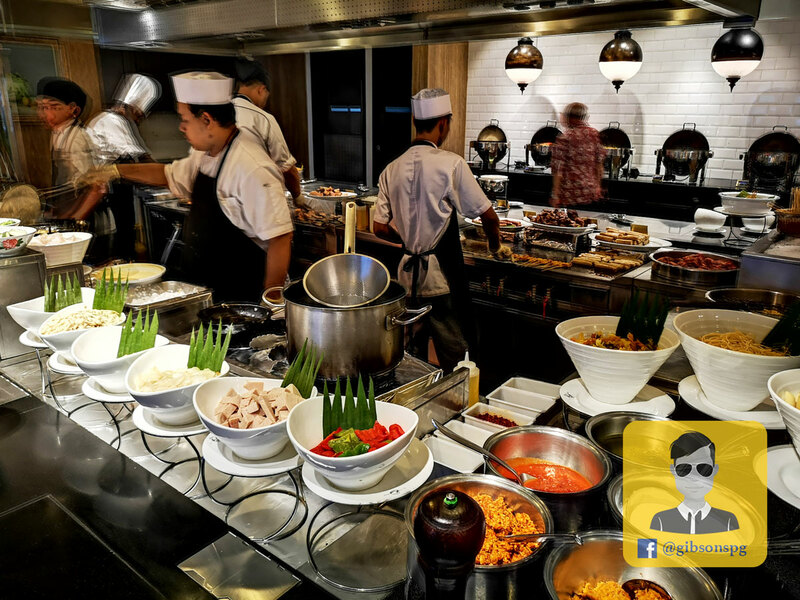 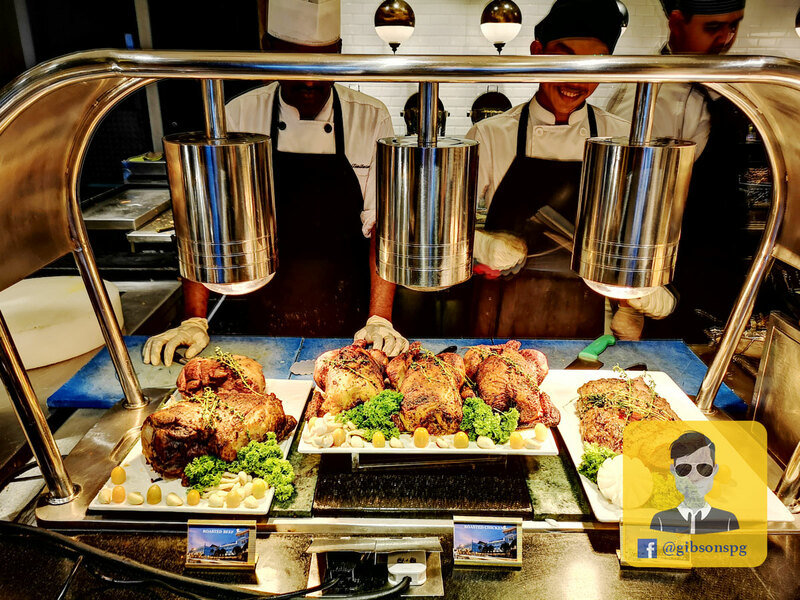 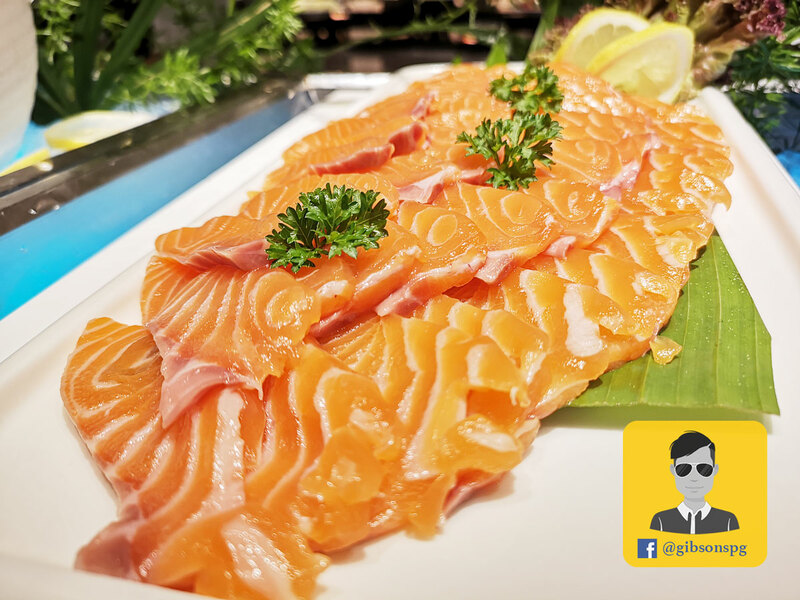 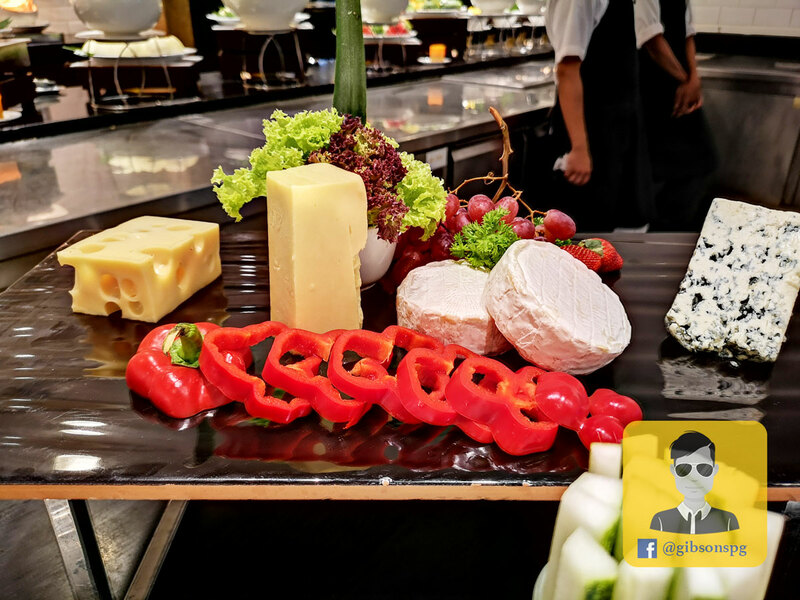 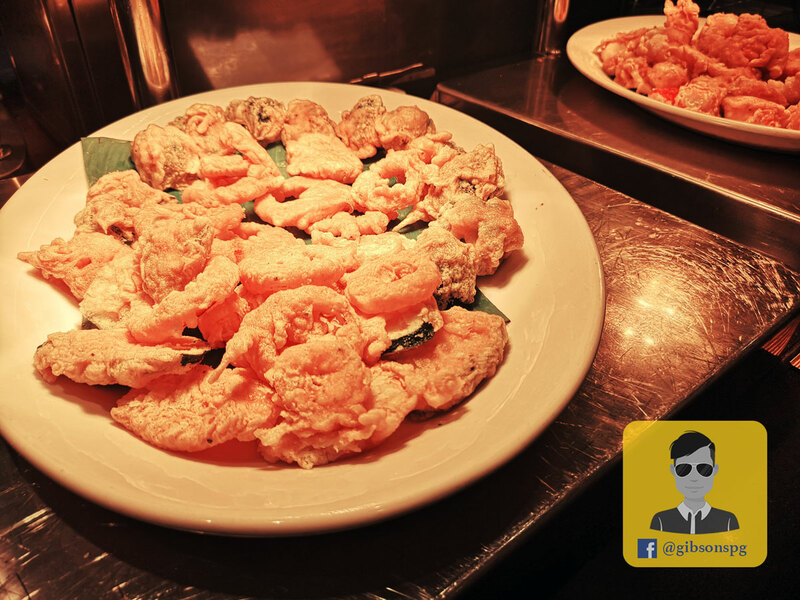 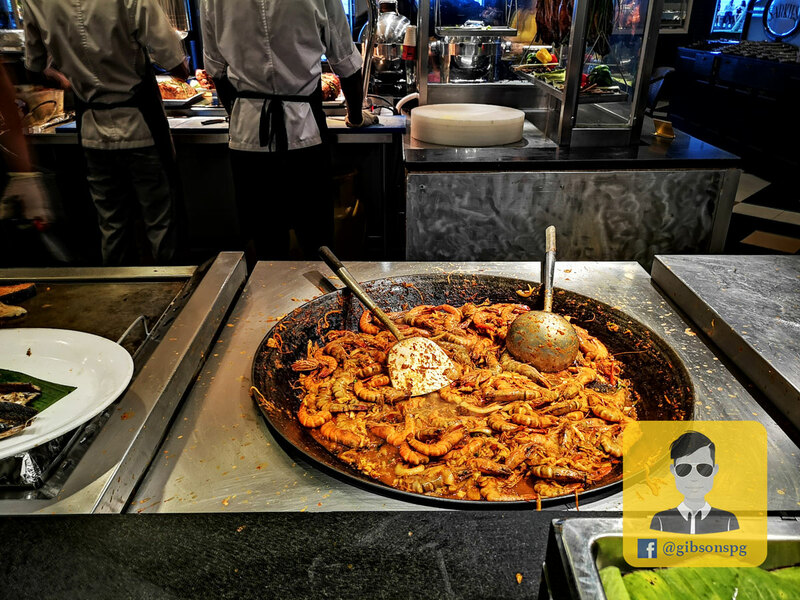 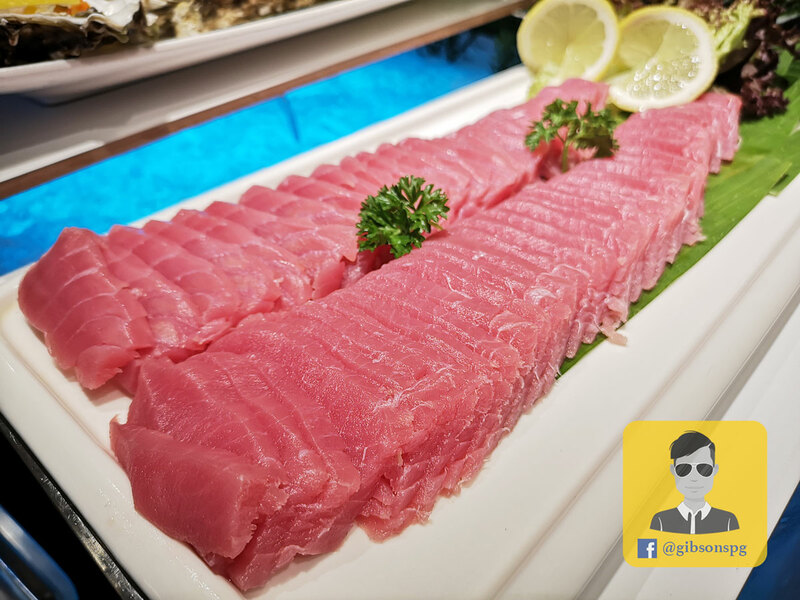 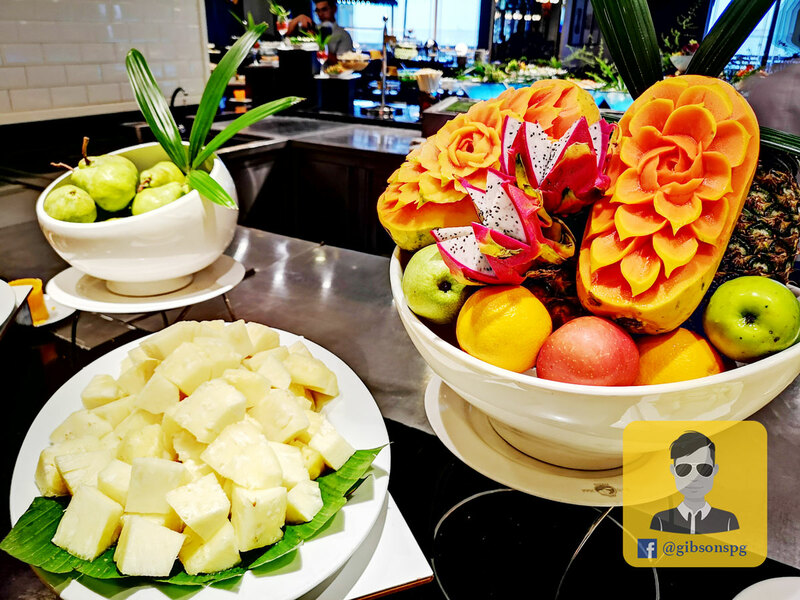 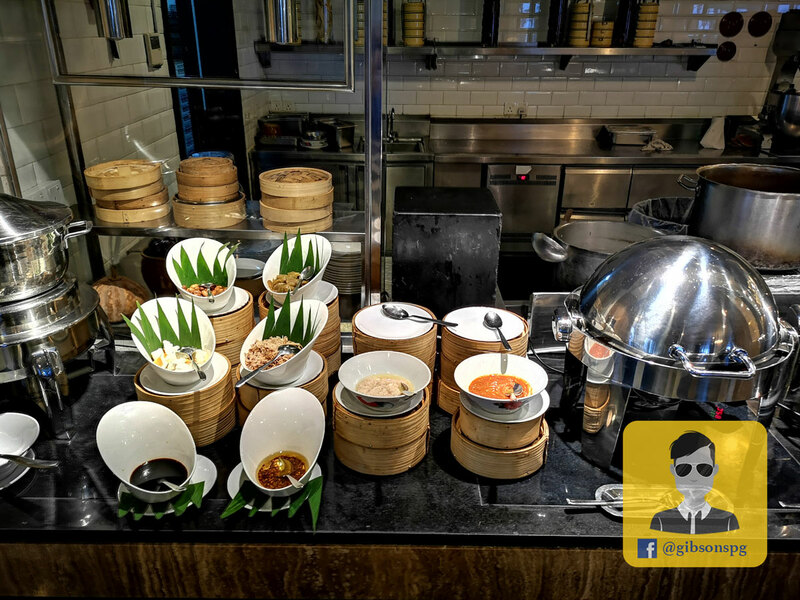 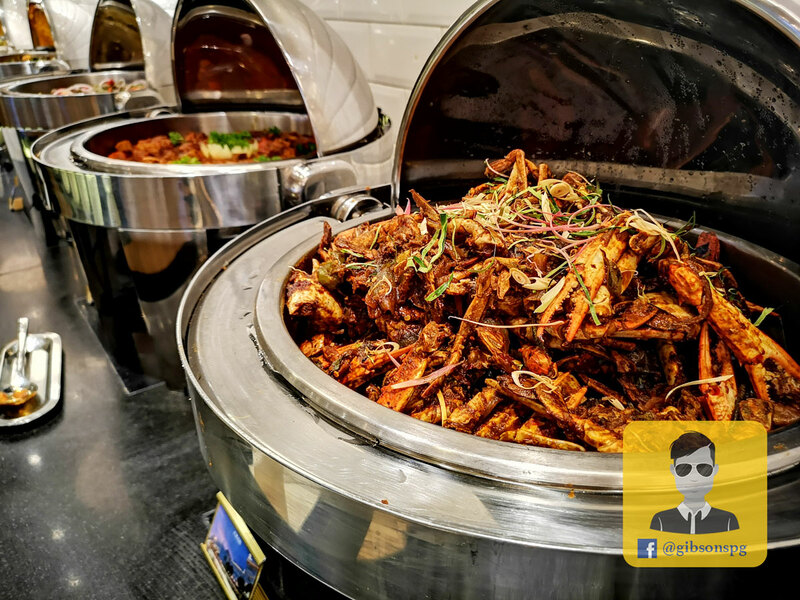 「WINE & DINE」 buffet dinner at Sarkies, Eastern & Oriental Hotel is one of the buffet's hotspot in town, we often find the restaurant fully booked and packed with foodies who enjoy the sumptuous seafood feast. 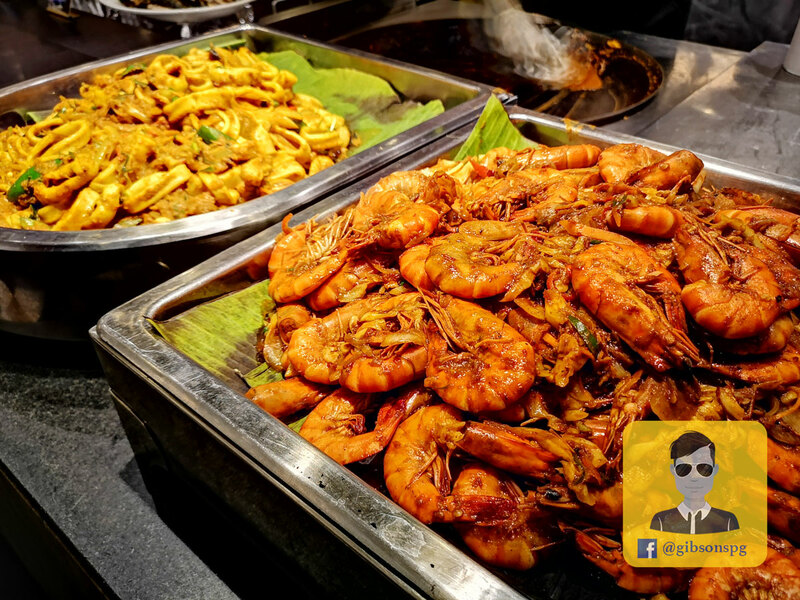 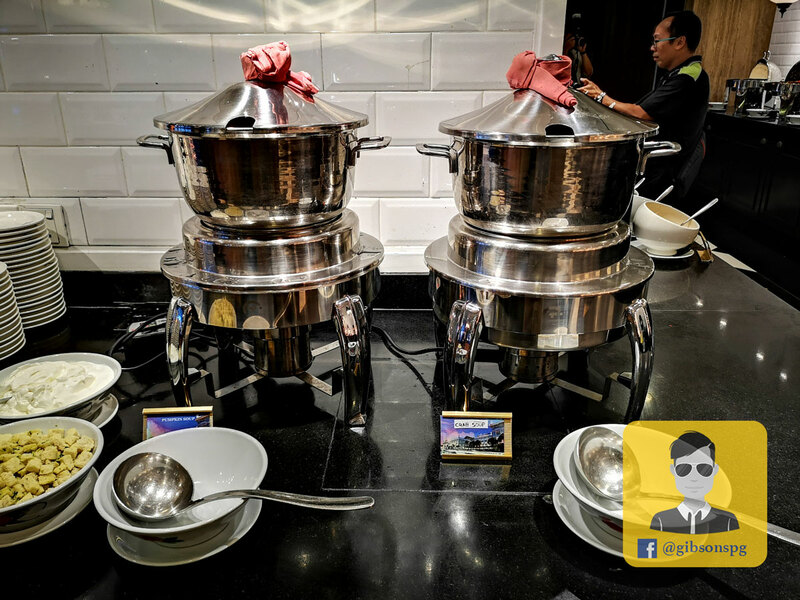 This is also Gibson's favourite buffet, the hotel is perfectly highlights the islanders’ expectation of seafood fest, beside the wide variety of seafood, they also cook it in many different ways, so that you can expect to enjoy seafood in both western or eastern way, hot or cold and sometime they will surprise you with their secret recipe too. 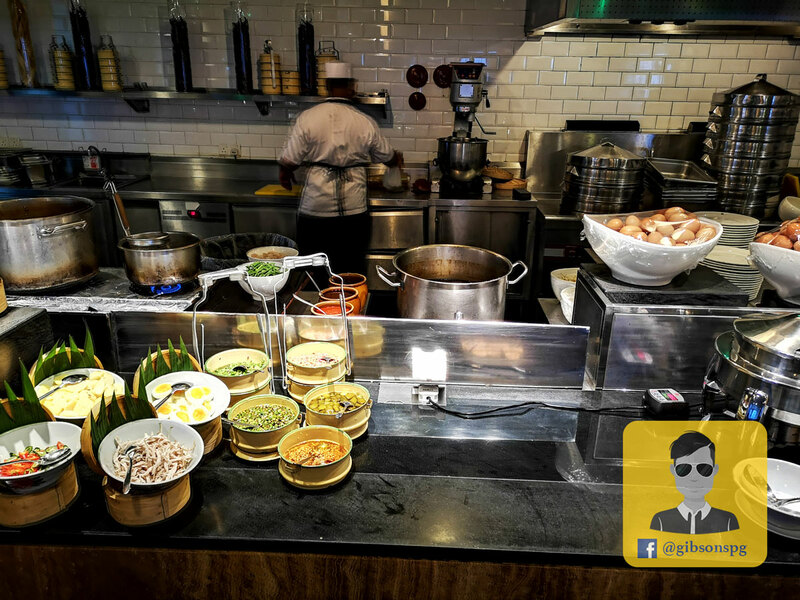 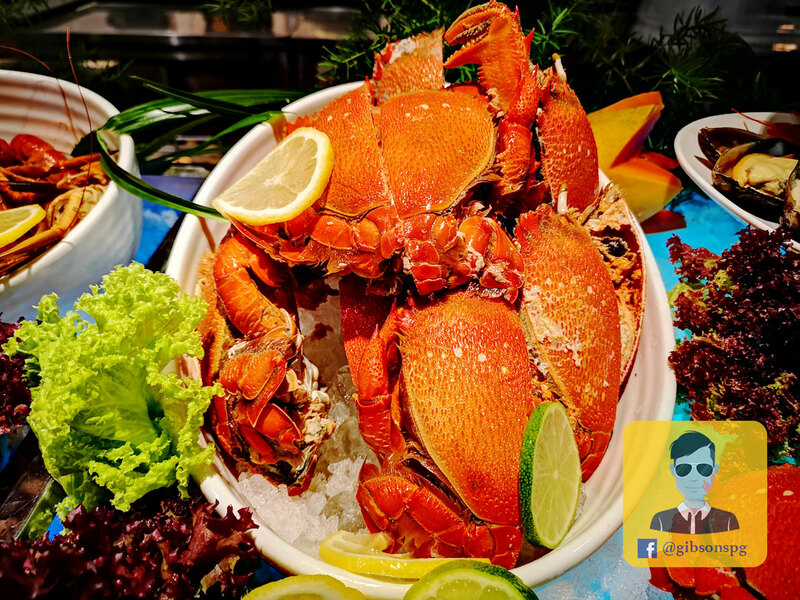 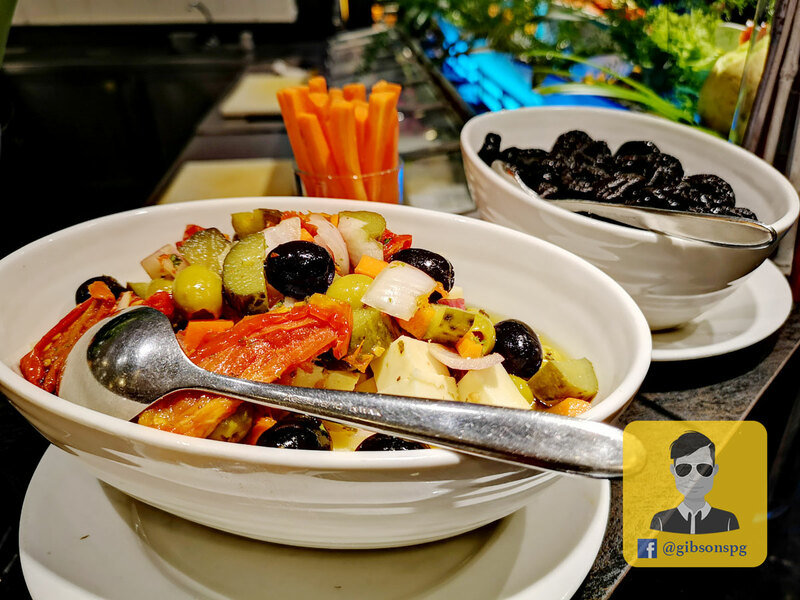 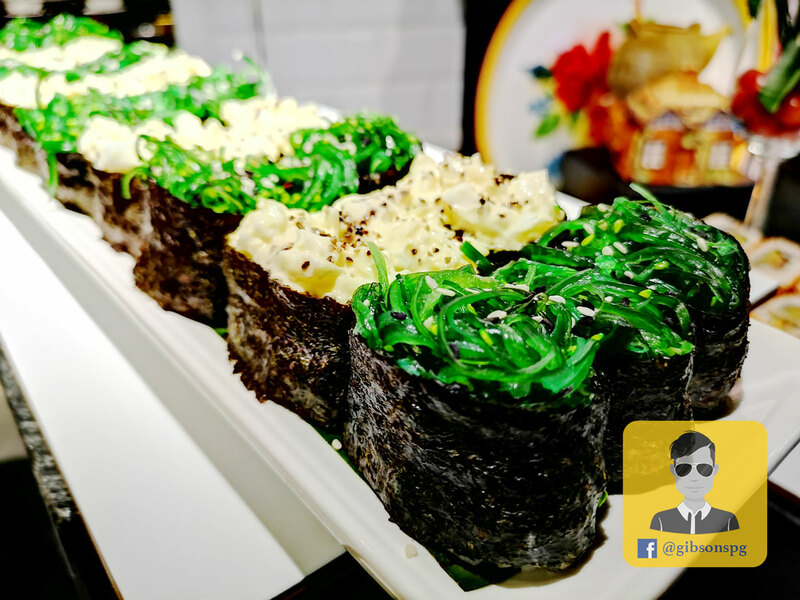 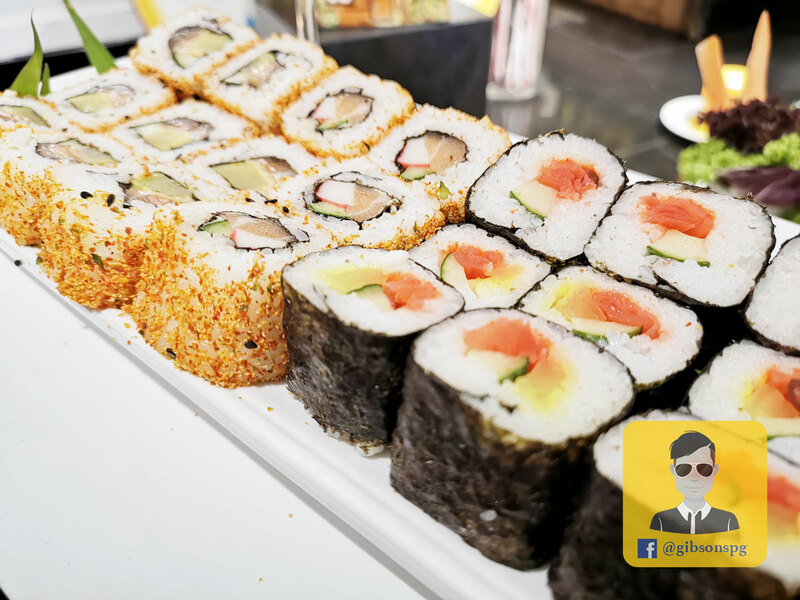 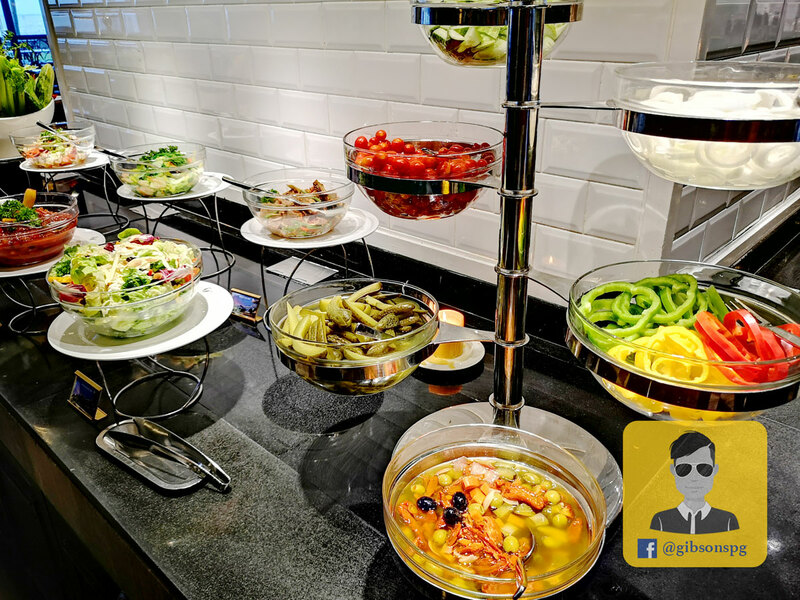 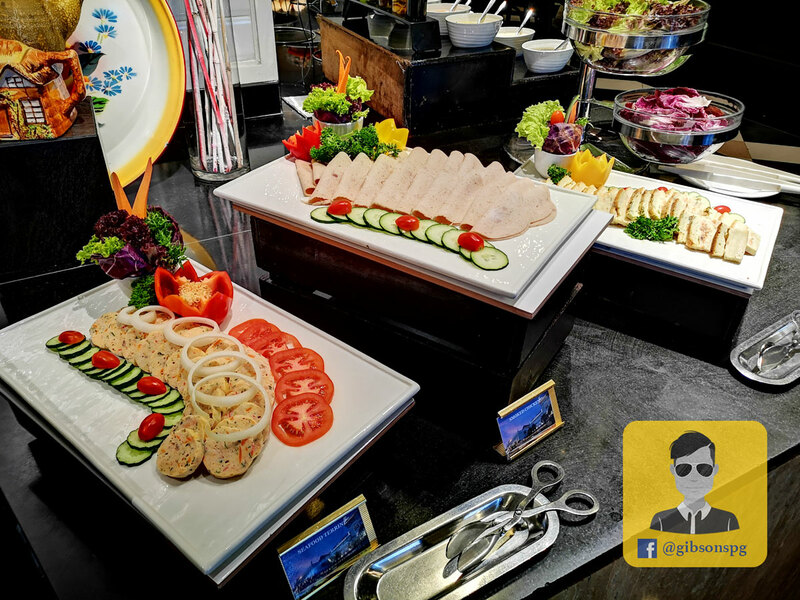 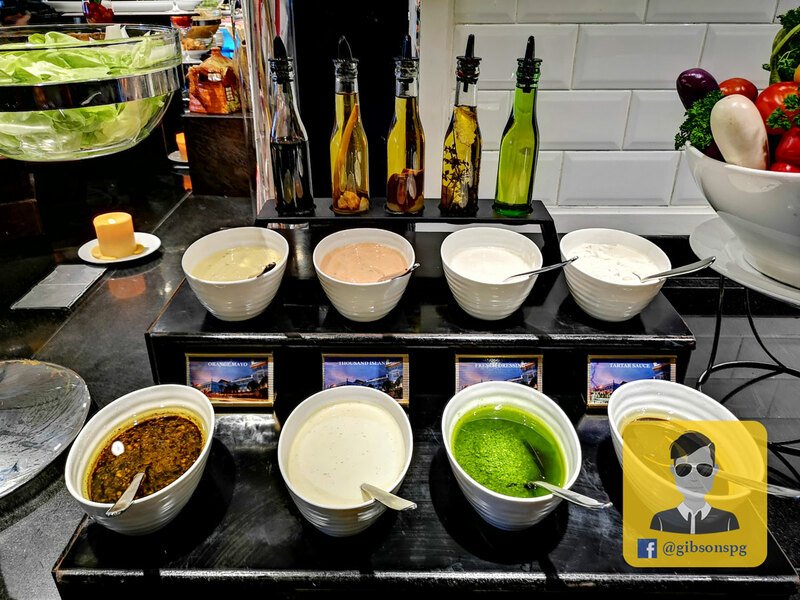 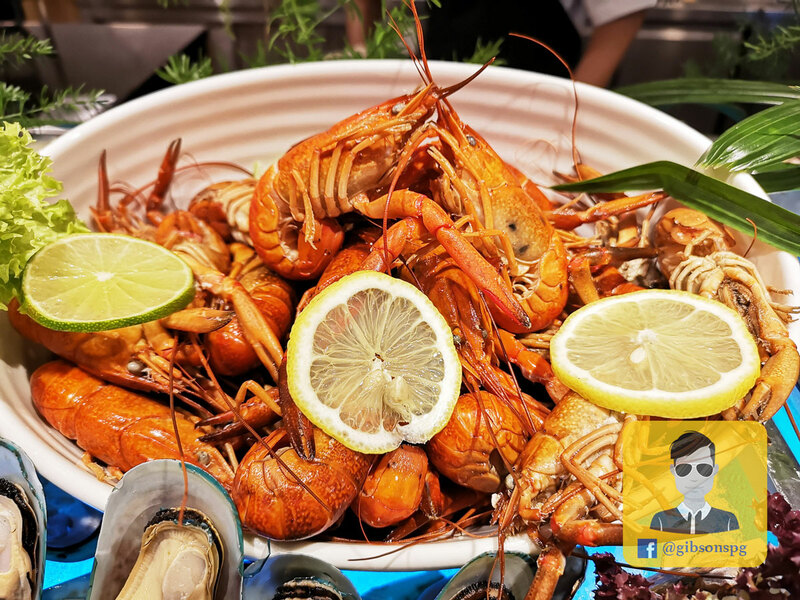 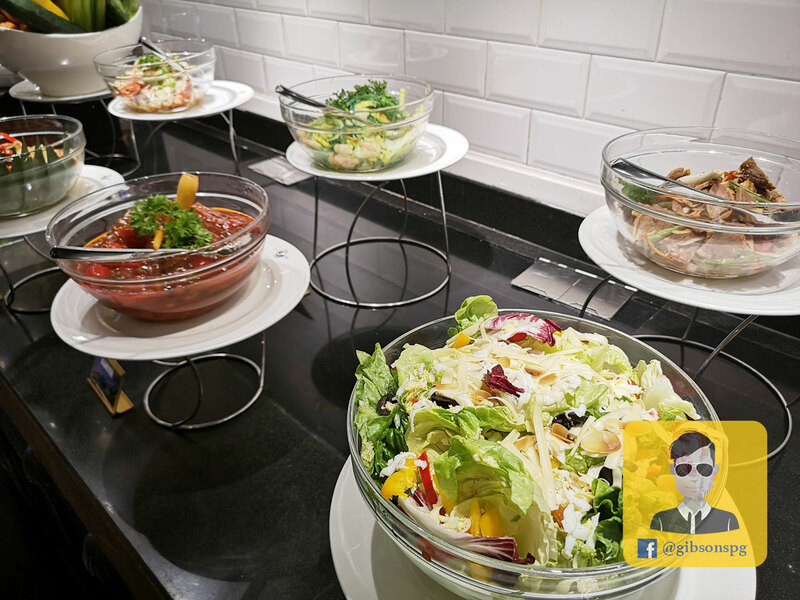 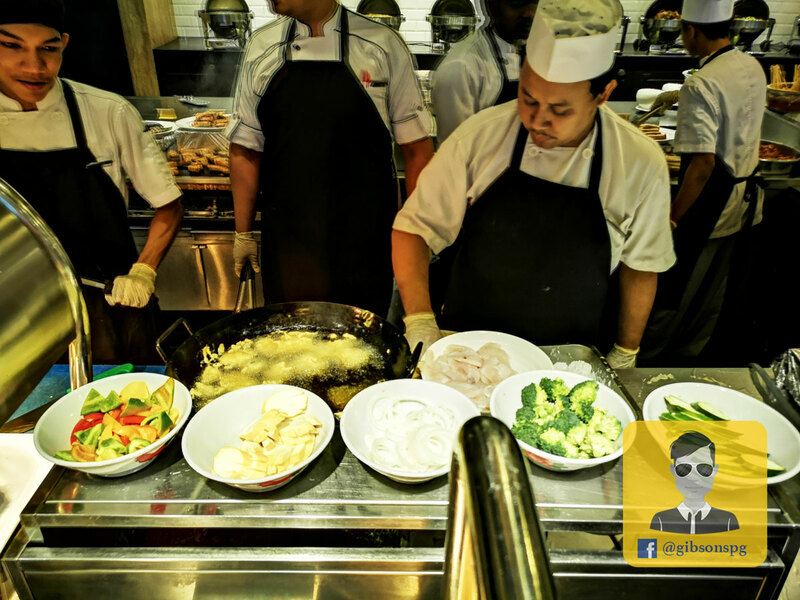 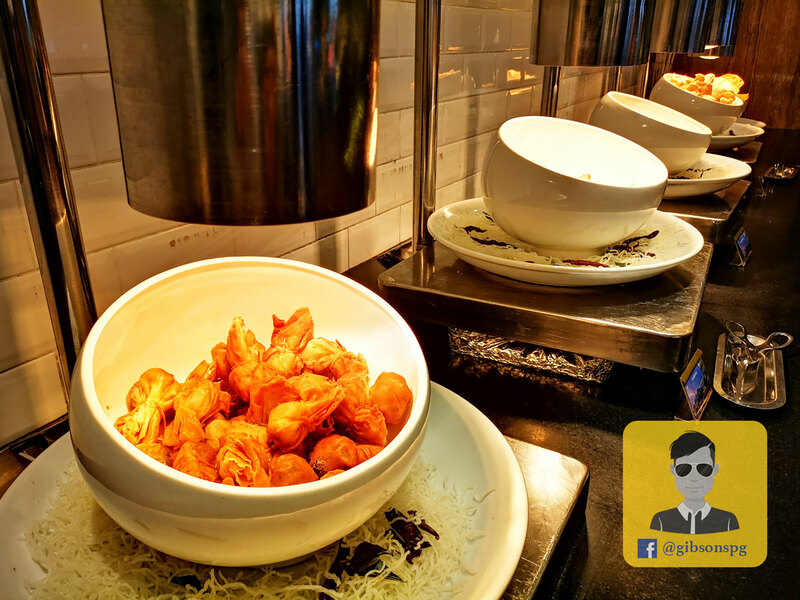 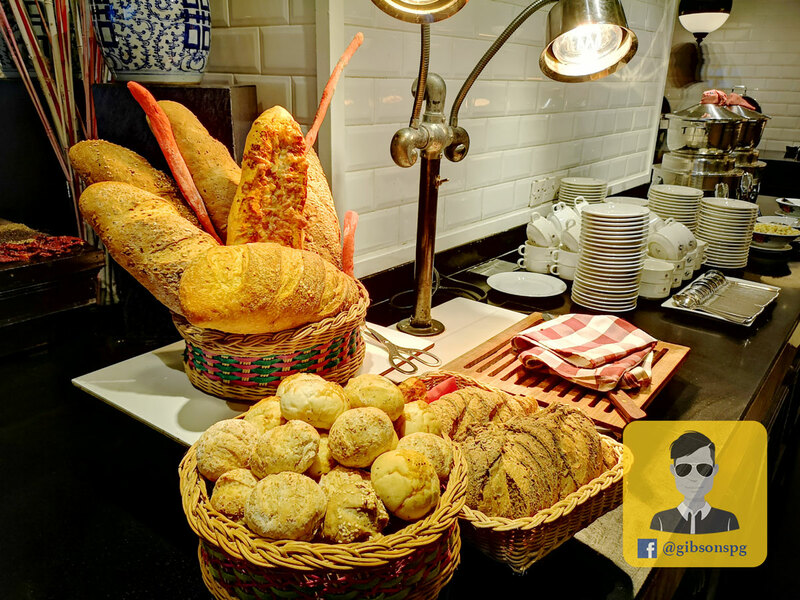 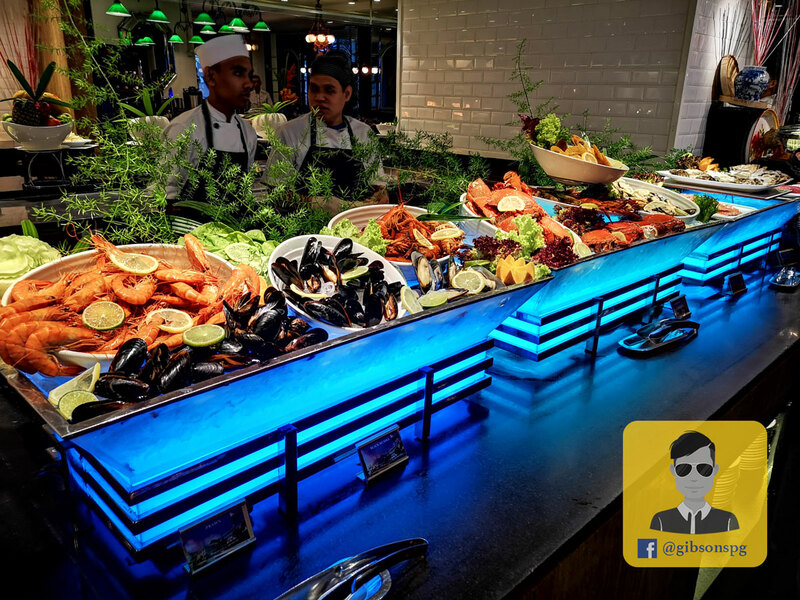 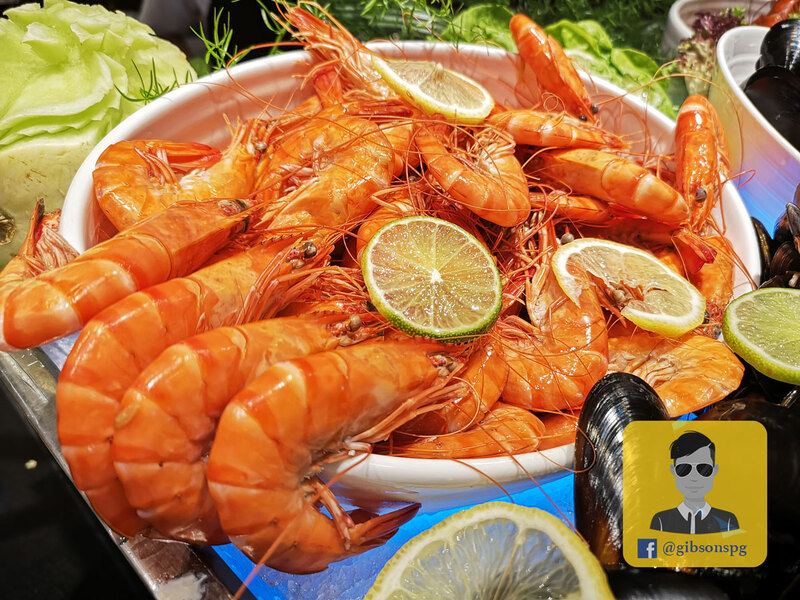 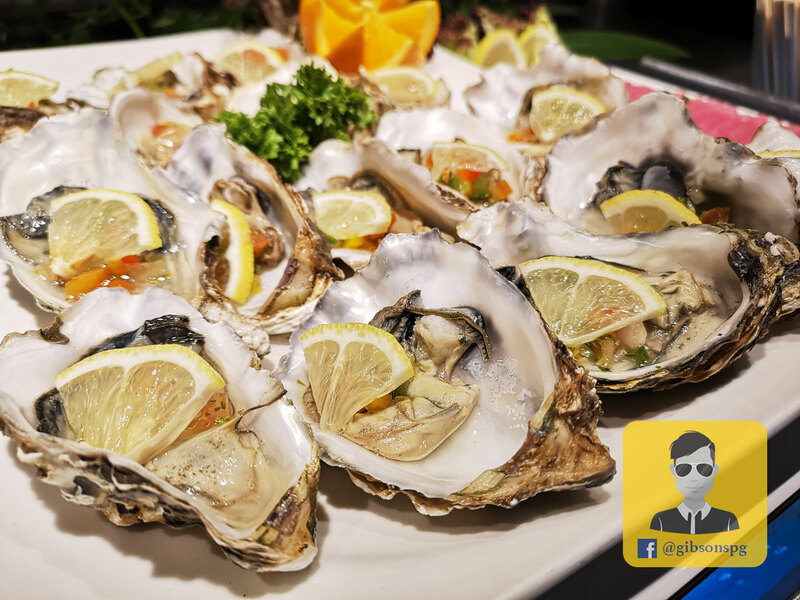 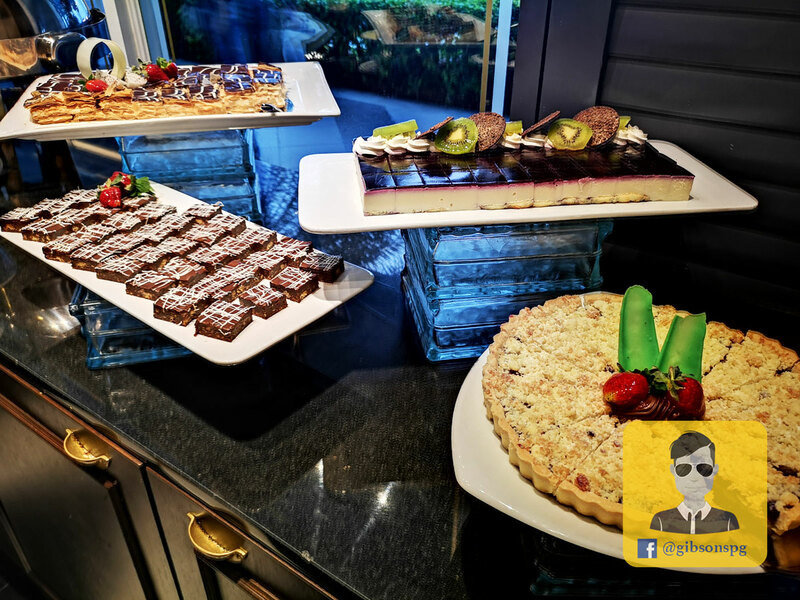 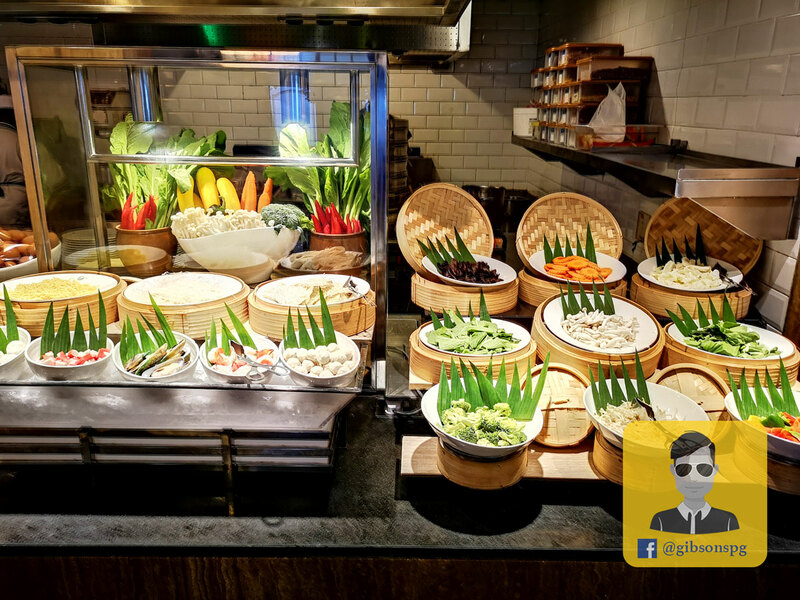 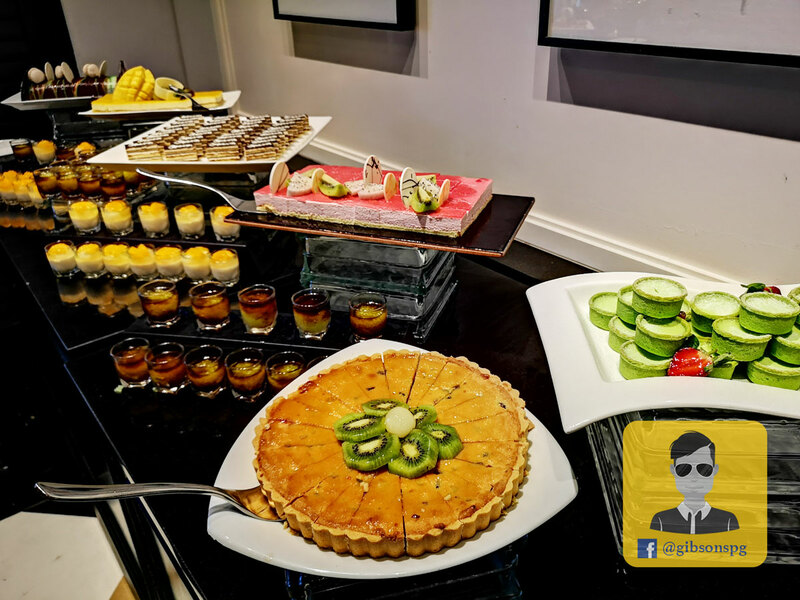 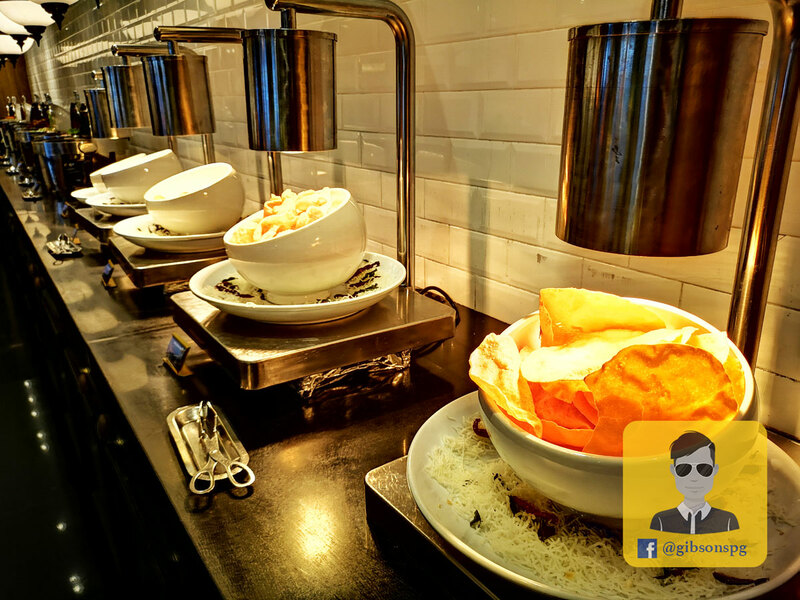 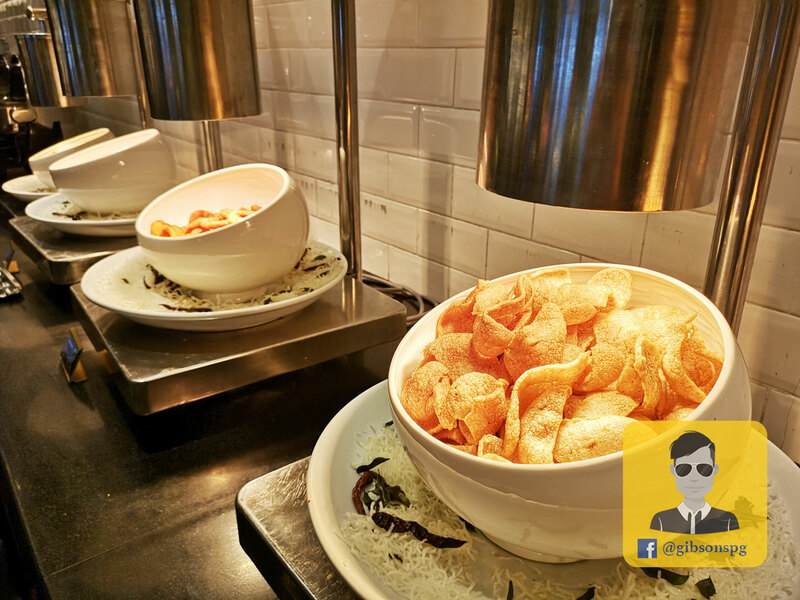 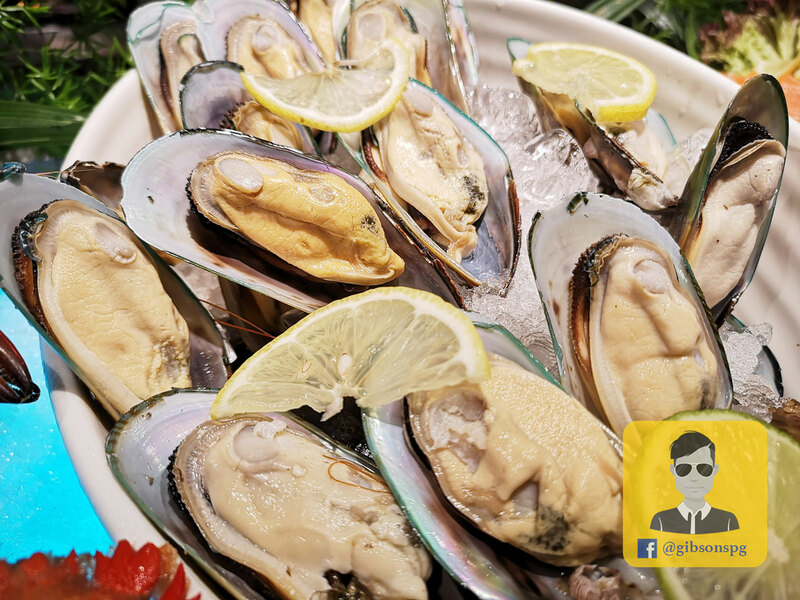 Although the seafood is the main focus here, but they never take other details lightly, as for their starter, you can find abundance choice of salads with difference sauces, pickles, fruits, breads, cheeses, local delights and snacks. 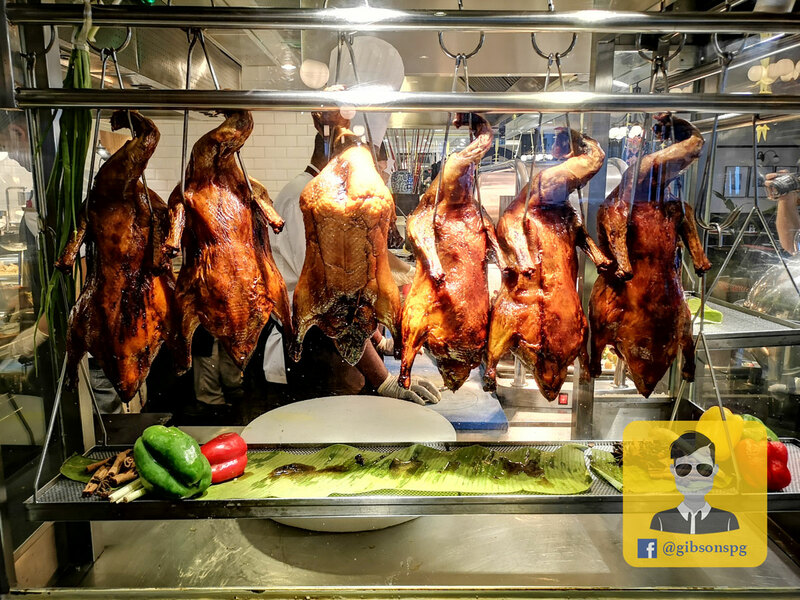 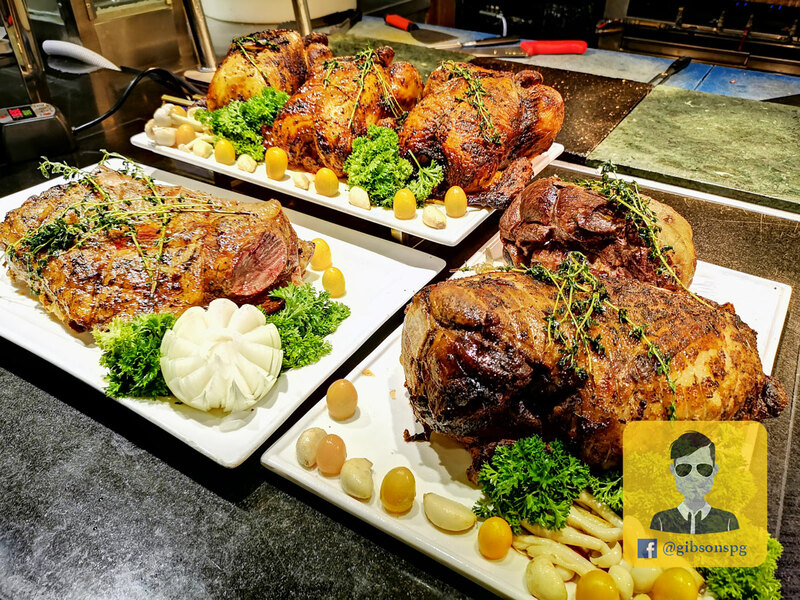 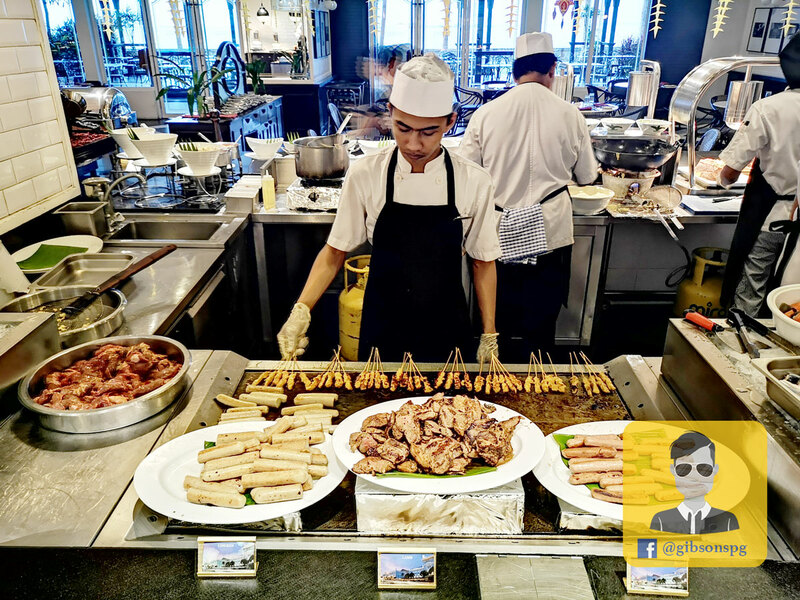 Besides seafood, we also well-spoiled with all kind of meat dishes, from western roasted meat which include chicken, beef and lamb to Chinese Roasted Duck, pure satisfaction is guaranteed for meat lover. 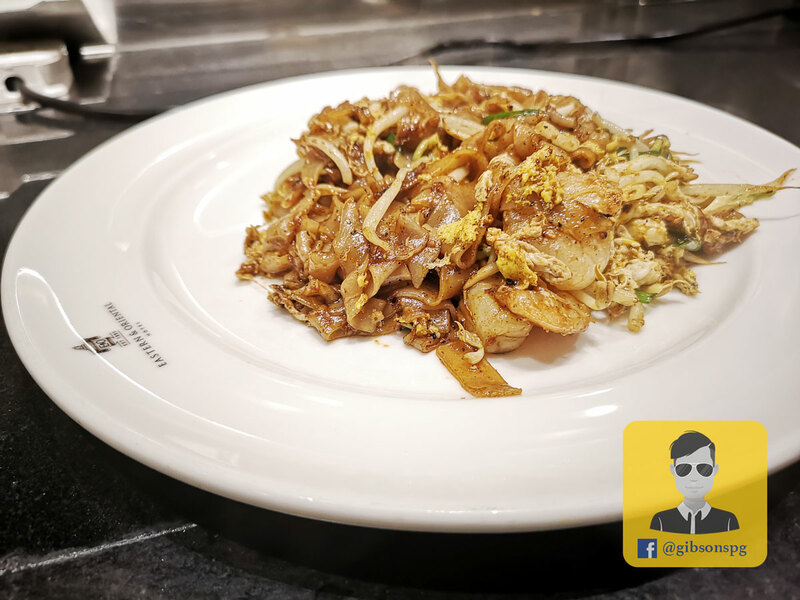 Char Koay Teow here is so far the best halal version in town, and they also offer soup dishes and pasta which you can decide what to add to the noodles. 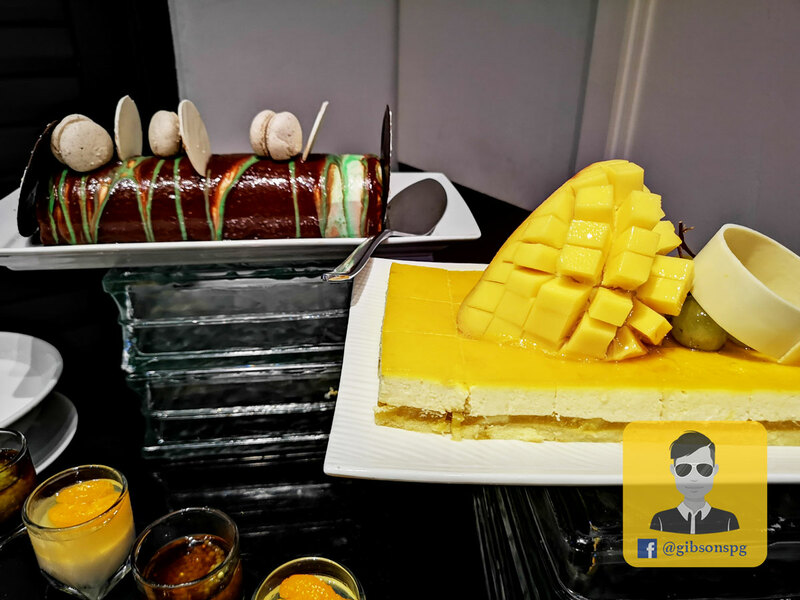 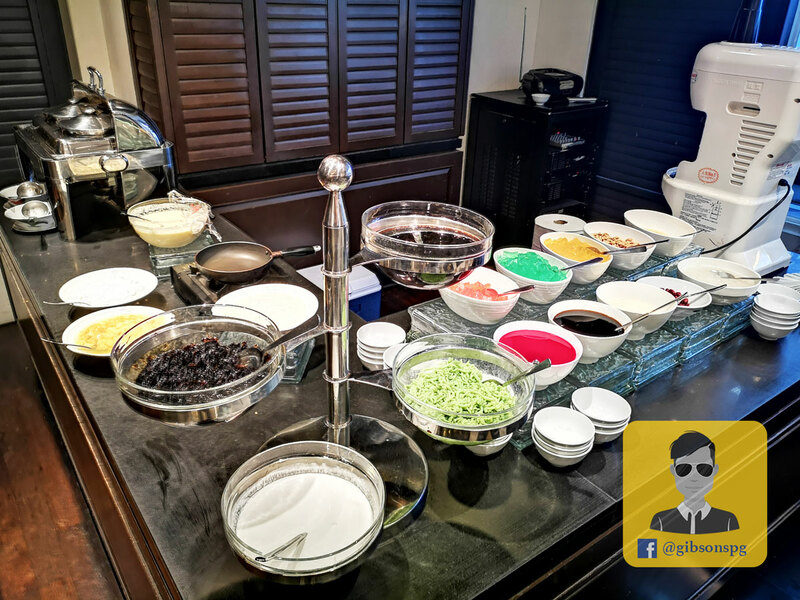 Not just western style dessert, they also offer Ice kacang and Penang Cendol. 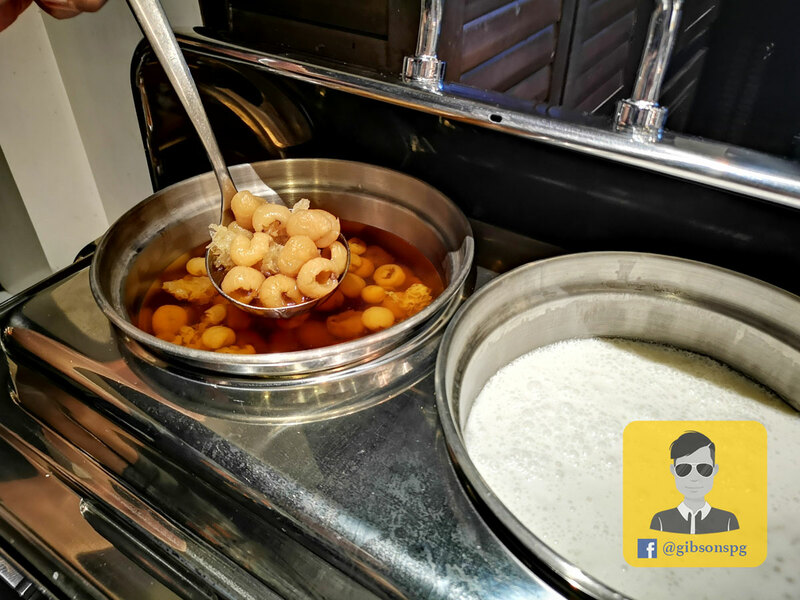 If you like to have a cup of Cappuccino, they got you covered as well.